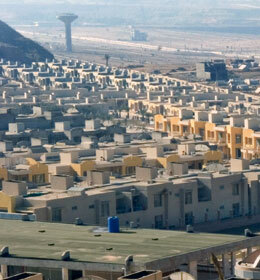 Bahria Town is a trend setter in the urban planning and development. With its innovative construction and development, Bahria Town has given mega projects that have never been undertaken by any developer. Bahria Town, being the pioneer in modern development, offers immense opportunities for its members by introducing ground-breaking projects and Overseas Enclave Lahore is one of them. Due to this novelty and revolutionary approach, Overseas Enclave Lahore has certainly given world class lifestyle with highest standards in quality development and providing international standard facilities. Overseas Enclave Lahore is hallmark in construction & development by Bahria Town and in short span of time has reached recognition of giving lifestyle with excellence.Overseas Enclave Lahore is not only offering plots but it is also giving people the lifestyles they desire.